With Valentine’s Day right around the corner, you might be looking for a new and creative date night idea! Don’t worry – there are plenty of choices in Traverse City for fun ways to spend the day with your sweetheart. Fustini’s is partnering with L. Mawby Winery to bring you hors d’ourves and sparkling wines to support Food Rescue of Northwest Michigan. This event will take place from 4-7pm on February 14 and tickets are $15 per person. If you’re looking for something more creative, Blackbird Arts will be setting up inside The Little Fleet to co-host their annual Build Your Own Beer Stein “Valensteins” event. 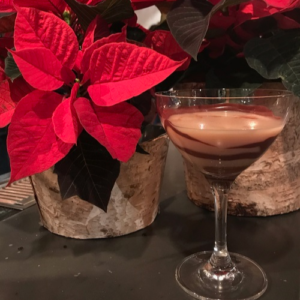 If you’re like me and just love chocolate, check out the Valentine’s Chocolate Tasting with Grocer’s Daughter Chocolate on February 11 or Mammoth Distilling’s Whiskey & Chocolate Cocktail Workshop on February 14. For the foodies – there are plenty of restaurants offering special Valentine’s Day events and menus. Black Star Farms offers a Valentine’s Day Harvest Dinner, or you can visit The Boathouse for their special Valentine’s Date Night Wine Dinner on February 9. Leelanau Peninsula Wine Trail is hosting their annual Taste the Passion event on February 10 & 11, or you can go wine tasting on the Old Mission Peninsula during Romancing the Riesling on February 17. For the beer drinkers, the annual Traverse City Winter Microbrew & Music Festival is relocating to Mount Mancelona for a great evening of craft brews on February 10. The Old Town Playhouse is featuring the comedy “Romance Guaranteed“, running February 9 through 18. A special dinner & show package with dinner for two at the Filling Station is available on Valentine’s Day. Finally, Grand Traverse Resort & Spa is featuring a Couples Escape Package throughout the month of February. Relax together with a massage, pedicure, and a glass of champagne! Hopefully you and your significant other enjoy some time together doing something on this list! If you fall in love with Traverse City, you might want to consider a home or second home in the area. Click here to search for properties for sale in the Traverse City and surrounding areas.